We’ve had to wait a little longer than we thought we would for the final to be announced, but the cruiserweight final of The World Boxing Super Series is on – for Moscow, Russia on July 21. The winner in the cruiserweight tournament final will walk away with all four major world titles at 200 pounds. Also, belts aside, the final between Murat Gassiev, 26-0(19) and the IBF and WBA champ, and Oleksandr Usyk, 14-0(11) and the WBC and WBO ruler, is arguably the best match-up we will see all year. Can you pick a winner? Gassiev looked nothing short of brilliant in stopping the previously unbeaten Yunier Dorticos with a twelfth and final-round stoppage, this after the two had gone to war in a thrilling, titanic battle. Gassiev quite simply seems to have zero weaknesses. The Russian is rock-hard tough, he punches like a mule, he has a magnificent engine and he can box intelligently and to a game-plan. Also, Gassiev is patient, patient, patient. He must be the favourite to win the WBSS then, right? Looking at Usyk, he too has enormous gifts. Usyk too is supremely conditioned and appears to be able to fight all night, the Ukrainian southpaw is a clever boxer, he has good power and he has shown, on the rare occasion where he has been tagged, that he too is solid as a rock. 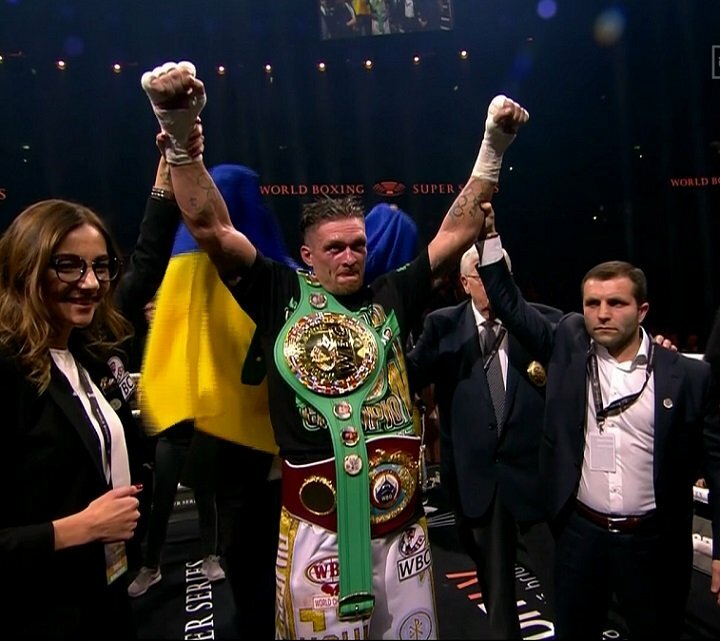 And just like Gassiev against Dorticos, Usyk gave us a sensational fight in his own semifinal; when he was successful in overcoming the tricky Mairis Breidis. Usyk has to be the pick to claim the Muhammad Ali Trophy, right? The great sport of boxing occasionally produces big fights that are just about impossible to pick a winner from going in. The fight set for July 21 is about as 50/50 or ‘pick ’em as you could ever wish to marvel at. If they fought ten times, chances are Usyk would win five, Gassiev would win five. Instead, most likely, they will fight once, and fans everywhere will be watching in awe as they do so. Chances are big we will indeed witness The Fight of The Year (on so many levels) on July 21 in the heart of Russia. Previous boxing news: Errol Spence says he’d like a fight with Jessie Vargas – Can “The Truth” become the first man to stop Vargas?